Tholi Ekadasi is the name given to the Ekadashi observed during the Shukla Paksha (waxing phase of moon) in Ashada Masam (June – July). Tholi Ekadasi is observed on Monday, 27th July in 2015. The year is divided into two that is Uttarayana and Dakshinayana. And each half is equal to one complete day for Gods. 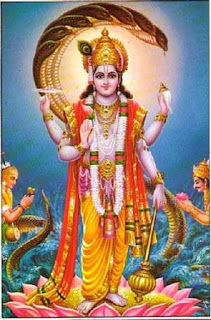 It means Uttarayana is the day First half of the year and Dakshinayan is night for the Lord Vishnu. This Ekadashi is also known as Deva Shayani Ekadasi or Hari Sayani Ekadashi and the Chatur Mas Vrat (four holy months in Hinduism) begins from the day. Ekadashi is a sacred day, according to the positions of Moon, two Ekadashi's take place every month in the Hindu calendar. Ekadashi fast is observed on every eleventh lunar day. In one month, two Ekadashi fasts are observed. One Ekadasi fast occurs during the Shukla Paksha (bright half) and second one occurs during the Krishna Paksha (dark half). A fast is to be observed on Ekadashi day by all Hindus. During Ekadashi, a not having water fast is ideal. However those unable to fast may take liquids. In accordance with the Hindu religion, the day of Ekadashi is considered to be religiously beneficial. The occasion of Ekadasi is considered to be the most auspicious among various fasts. On the auspicious of Tholi Ekadasi devotees will woke up early and finishes their regular activities and observe fast on whole day chanting the Lord Vishnu mantra's like stotram, Astakam, Lord names. In accordance with the Hindu Scriptures, it is extremely essential to avoid the consumption of grains and cereals on the day of Ekadashi. Tholi Ekadasi is of great significance to the farmer's as they begin to sow seeds after the first rains on Tholi Ekadasi day. As the other Ekadasi this Tholi Ekadasi is also didicated to Lord Vishnu.